This manual is intended for use by OTRS agents. 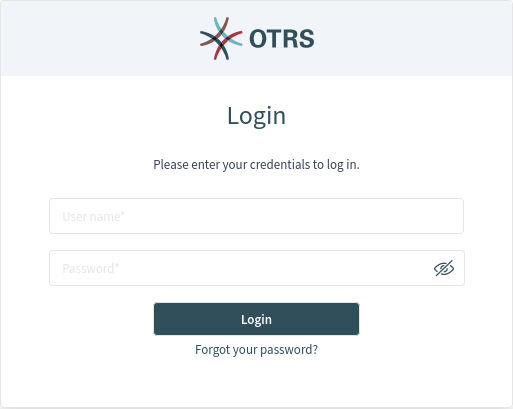 The chapters describe the usage of the OTRS software as an agent user. The agent interface is available at the following location. You have to replace <OTRS_HOST> with your domain. You need an agent account to be able to use OTRS. If you have no account yet, please contact your administrator. If you forget your password, click on the Lost your password? link, and follow the instructions there. After a successful login, the agent dashboard will be displayed.